Make your logs last longer with our advanced treatment. 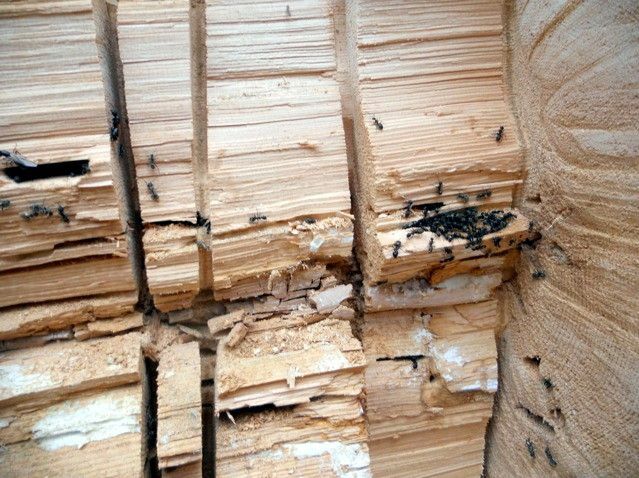 Borates are a good way to protect against log rot and insects. 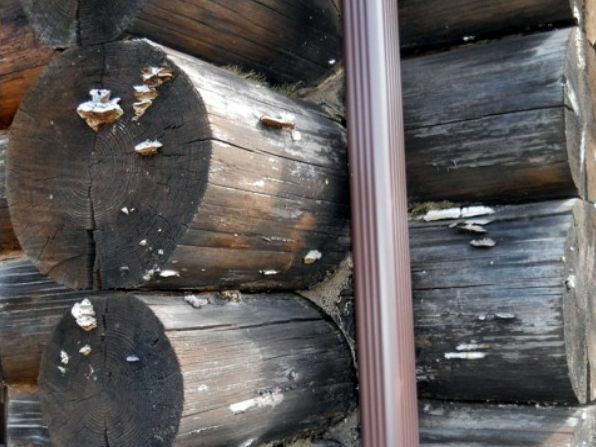 Borates treat the logs from within making the wood less likely to decay. Rot can cause expensive repair issues. 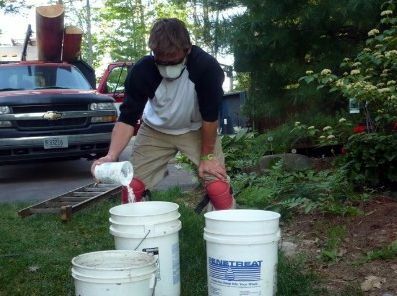 PeneTreat, a boron-based product, is applied to wood that has been blasted first to remove the stain. Boron is not a poison, therefore, it does not cause harm to either the person applying it or to the environment. If you see mushrooms growing on your logs, you have rot! 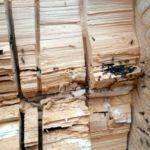 If you have carpenter ants, you have a problem with rot. Until you get rid of the rot, you can’t control the population of boring insects. Edmunds & Company uses a product called PeneTreat. 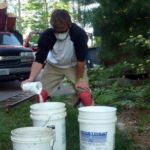 It is a powder mixed with water and is applied by spraying the solution onto raw wood. The borate solution soaks into the wood fiber, becoming part of the wood. 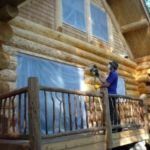 After PeneTreat is applied, the logs are allowed to dry for about 24 hours and then a quality log home stain is applied. 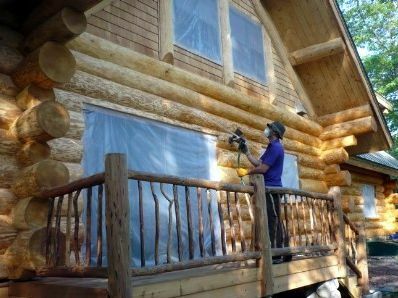 On most log homes, we use this borate treatment after blasting the logsto remove the failed finish. Edmunds & Company is ready to help protect your investment. Contact us or call 715-373-5744. 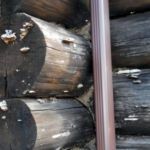 The more breathable the wall is, the less likely that you will develop problems due to moisture building up in your log walls.